The Cape Barren Goose is a about the same size as a domestic goose. Its most striking feature is the bright greenish yellow cere on its short black bill. Peacock at Cataract Gorge Reserve - Launceston's own piece of wilderness. 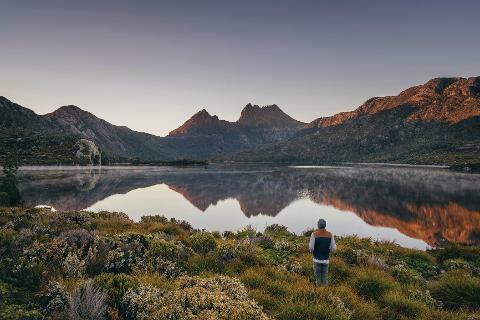 About 47% of the Tasmanian island is covered in forest, while the protected Tasmanian Wilderness World Heritage Area consumes nearly 25% of its land. The Natural State features button grass moorlands, cool temperate rainforests, coastal heathlands, wet and dry eucalyptus forests all in a compact area. You don't have to go far to pass from one to another. 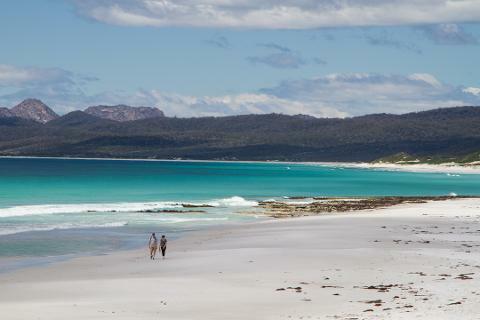 Tasmania is also surrounded by more than 350 offshore islands and this all makes for a perfect habitat for birdlife. It's no wonder that more than 262 species of bird have been recorded in its pristine wilds. Tasmania boasts 12 endemic bird species. And aside from the Forty-spotted Pardalote, restricted to the southeast of Tasmania, they are fairly well spread about the area. There are also 5 species of birds listed as endangered, with one listed as being vulnerable. Perhaps it's time to head down to Tasmania to be awoken in the morning by the call of the Australian Magpie and to be laughed at by the local Kookaburra. You might catch these flightless, chubby birds stretching their wings in order to balance as they run at a top speed of 50 km/h. That's faster than Usain Bolt. With an olive green back, grey underbelly, brown bum and black tail, these birds are commonly found running in open fields. They also have odd mating habits. About half stay monogamous while the other half enjoy polyamory. Females can have a harem of up to 3 to 4 males. The endangered Forty-Spotted Pardalote is only found in southeast Tasmania. Nicknamed the diamond bird, this rare creature also features an olive green back and grey belly with a yellow bum and yellow cheeks. They have no facial markings which make them unique in the world of Pardalotes. These common birds are quite chatty and endemic to the Tasmanian island. They're easy to spot with a dark green back, yellow head and blue cheeks. They look like many parrots with a bright red patch on their forehead. Look to the River Derwent to find these water-loving loving birds. 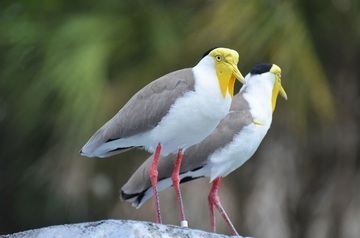 These gray and white birds have a yellow facemask and a black crown. Their funny looking yellow faces make them quite unique. You can find these birds nestled in urban parks and sports fields. These all-white parrots screech in the mornings. Featuring a mohawk-type yellow crest, these birds are perfectly suited for urban life. The only other color you'll see on these commonly found parrots is a faint yellow streak underneath their wings. You won't find these black-and-white birds catching any oysters. In fact, they prefer soft and sandy beaches over the rocky coast lines where oysters are found. They use a long and strong orange beak to crack open tasty bivalve mollusks. They feature a white belly with orange beaks, legs and eyes. But don't get too close as both the male and female will let out a scream call while defending their 200-metre territory of beach. These small gray and brown birds prefer dense protection provided by shrubs. You'll often find them perched on fence posts or stumps which gives them the cheeky nickname Stump Robin. 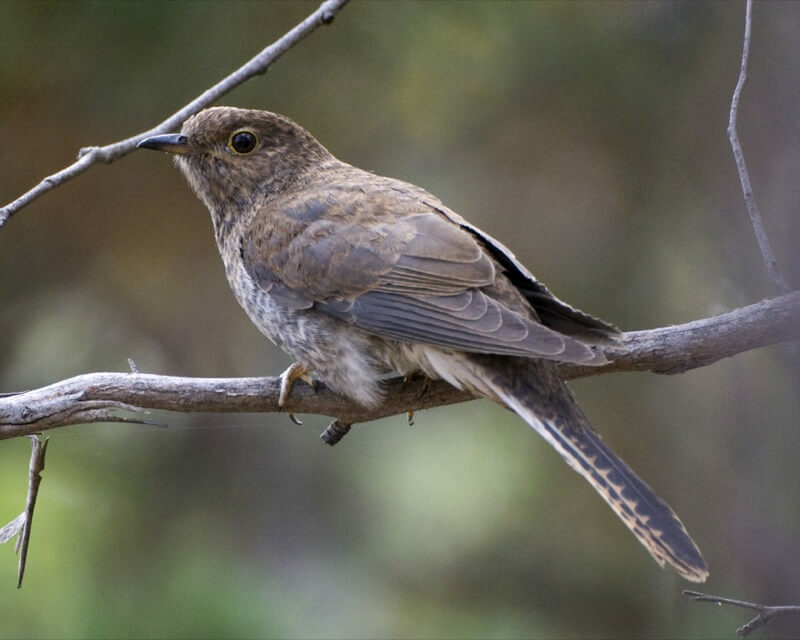 These small birds feed on nectar and use their curved bill to access that sugary goodness. All hopped up on sugar, these birds are often found quickly flitting from tree to bush. These little sugar fiends feature a black crown, white chest, brown belly and dark gray wings. There are 11 million Short-tailed Shearwater burrows across Australia. These birds make an annual 15,000-kilometre migration that spans over 6 weeks from the Arctic regions. Otherwise known as muttonbirds, these drab gray birds have wings designed for efficient gliding and webbed feet which makes them ace swimmers. You may spot them out on the ocean in large rafts from September to April. This dark black bird features yellow eyes and white tips on their flight feathers and tails. Juvenile birds are often seen roughhousing with each other around Hobart and early settlers used you find these birds rather tasty. Green, red, two different blues, yellow and black can be found on this endangered species of bird. They touched down in Tasmania in August to breed while spending their winters on the mainland of Australia. They use the islands in the Bass Strait to hop down to Tasmania for breeding season. These beautiful little creatures love to feast on the Tasmanian Blue Gum, and they love to announce their arrival as they often squawk in noisy flocks. Cloudy gray with patches of yellow, especially on the throat, will let you know you found this small bird. They love the orchards that cover the Tasmanian island because it allows them to feast on their favorite food -- pears. And these little guys can get pretty aggressive during breeding season so you might find them running off other small birds in the area. This is Australia's largest honeyeater. These gorgeous cloud-gray birds are easy to spot as they have a large yellow patch on their bellies with orange wattles hanging from the sides of their face. You might spot one yacking or coughing in a city park. These ravens look a little different than ravens found around the world, but they're the only ones with a permanent habitation on Tasmania. And if you're coming in from outside of Australia, you might be surprised by the sounds that they make. It can sometimes sound like a distressed baby. This orange and black bird has a beautiful white and black speckled tail, and it can be differentiated from other cuckoo birds by its bright yellow eyes. You'll only be able to catch these birds in summer as they fly off to the Australian mainland in winter. These pushy birds are known to lay their eggs in the nests of other bird species. These medium-sized birds resemble a raven, except for the fact that they are black and white. With a sharp beak, these birds have been known to dive on passersby to protect their younglings. They are abundant in Tasmania cities and can hang out in gangs of up to 24. These large birds call out in a wail and their flight pattern is rather looping. Mostly black, you can identify these large parrot-like birds by their yellow cheeks and yellow tail. They can be often spotted in large groups feeding in woodland areas. This common water bird can be seen out on the Derwent River Estuary. Feeding on insects and fish, this tall bird has a large wingspan, white belly and black back. Oddly enough, these birds lack waterproof feathers so they can often be seen with their wings outstretched so they can dry off. These ducks waft quite a musky scent during mating season. It's this rather odiferous backside that gives this bird its name. Males also feature a leathery bag hanging from the bill that inflates to impress mates if the musk doesn't do the trick. These birds are rather theatrical as they put on an elaborate water ballet to attract a monogamous mate. They use webbed feet to swim quickly in order to catch fish. With a distinctive red eye, the grebe features dramatic eyebrows, a graded brown-black neck, white belly and face with a deep brown back and wings. There's really no bad place to go birdwatching in Tasmania, as the island is covered in more than 145 Important Bird Areas. Important Bird Areas are identified by BirdLife International using an internationally agreed set of criteria. Each IBA is important for the conservation of local bird populations. And it's astonishing when you take into account that there over 12,000 IBAs in the world. Tasmania is a relatively small island and contains more than 145 of these areas. You really can't go wrong birdwatching in any of Tasmania's national parks. Bridport, on the northeast coast, is a great place to watch migratory species in the winter. 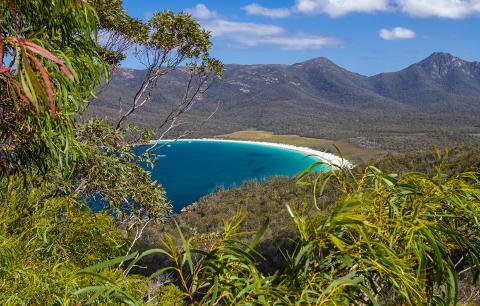 Bruny Island gives you great vantage points to spot birds on the top of towering dolerite cliffs. Narawntapu National Park is known as the Serengeti of Tasmania and is abundant with wildlife throughout the day and especially at dusk. 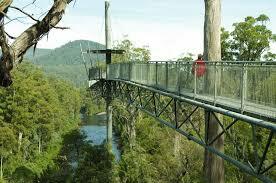 And you can find all 12 endemic species down on the Tasman Peninsula a little more than an hour southeast of Hobart. In fact, the Tasman Peninsula and southeast Tasmania is the only place where you can see the endangered and endemic Forty-spotted Pardolate. 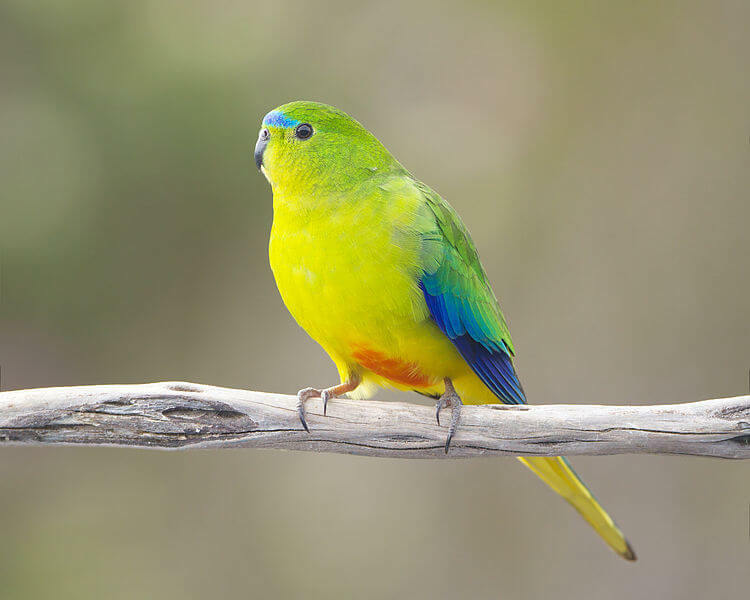 And if you want to catch a glimpse of one of 44 known Orange-bellied Parrots, you'll have to brave the wilds of Southwest National Park at Port Davey and Melaleuca. The rest of Tasmania's birds, including 11 of the 12 endemic species, can be seen all over the island. 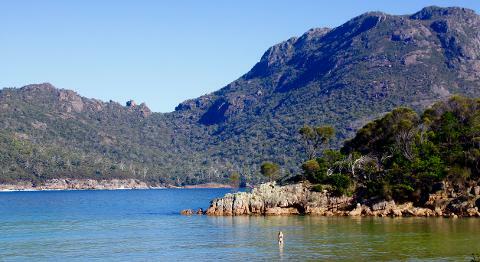 The entire southwest portion of the Tasmanian island is protected as Southwest National Park. There are no roads that will bring you to the home of the Orange-bellied Parrot. You'll have to either fly or take a boat to the small hiking station known as Melaleuca. Planes and boats can be chartered in the West Coast town of Strahan. Sitting on the brink of extinction, there are thought to be less than 50 Orange-bellied parrots left in the world. They are one of the few parrots that migrate and only live on Tasmania's southwestern coast from mid October to the end of March. You'll find a bushwalker's hut in Melaleuca that can get you up close to this small, colourful bird. Bright grass-green plumage is interrupted by an orange spot on the belly. You'll also see blue streaks on its head and wings if you're lucky enough to catch one. The Tasmanian government has committed more than $3.2 million to protect this endangered bird. The government is working to expand breeding and nesting areas in Tasmania as well as controlling predators such as cats and foxes. These are some of the smallest birds in Australia and they are also on the brink of extinction. Living in the white gum of dry eucalypt forests, you'll only find these diamond birds in southeast Tasmania. They are categorized as a diamond bird due to their jewel-like appearance with a light olive-green body and yellow eyes. These birds pair up during the summer breeding season but can be found in small gangs during the winter. Foraging for insects, they create nests in hollow trees but can occasionally burrow into the ground. Your best chance at catching one of these rare birds is on Maria Island, Bruny Island, Tinderbox and Flinders Island. These slender migratory birds are incredibly sensitive to human disturbance. They can be found in the northeast of Tasmania during the summer breeding months. 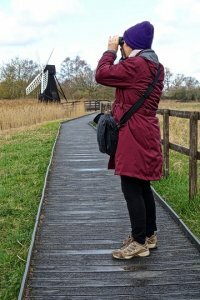 You might be able to catch a glimpse of one of these seabirds at Bridport, Little Musselroe Bay and the Furneaux Islands using coastal lagoons to hunt when seas are rough. These birds breed in the low dunes and sandy beaches of the northeast coast. But be careful not to get too close as they are incredibly sensitive to your presence. These 250 mm birds have a white chest and belly, light gray back, a black crown and black wingtips. Australia's largest bird of prey, the Wedge-tailed Eagle is nearly all black when mature. You'll find that the feathers have a dash of light brown when seen up close. It's distinctive wedge-shaped tail hides a long, feathered legs. These massive birds can be over a meter in height and weigh up to 5 kilograms. And the wingspan is an astonishing 2.2 metres when fully mature. Tasmania broke away from mainland Australia more than 10,000 years ago, so this Eagle has become a species unto itself. There are only 130 breeding pairs left in Tasmania and habitat loss threatens the small population. These massive birds of prey can be found in all corners of Tasmania from planes to forests to Alpine Highlands. They're so big that they can hunt small mammals such as wallabies and rabbits while making massive nests sheltered from the wind in large eucalypts. This tiny little parrot is streamlined for incredibly fast flight. It's mostly bright green with splashes of red on its throat, chin, forehead, shoulders and under its wings. You'll also find two shades of blue on its cheeks, wings and tail. You'll only be able to spot this rare bird during summer breeding months in Tasmania's blue gum. The best places to see this bird are on the southeast coast starting in August when they begin to make their nest sites. These parrots make their nests in hollow trees as males and females form pairs. They may even reuse their old nests from years prior. After mating season, these birds fly off to the Australian mainland and beyond in small flocks of 10 to 20 birds. While the Shy Albatross is not on the brink of extinction, it is classified as vulnerable. These birds breed exclusively on 3 different islands -- Albatross Island, Pedra Blanca and the Mewstone. There are only 15,000 breeding pairs left in the world. With a very distinctive face and beak, these birds boast a white underbelly and gray wings. They can fly for incredibly long periods of time but they can't out-fly climate change. Climate changes are threatening to wipe out this population of bird but Australia has a plan to save them. Using artificial nests, the Tasmanian government hopes to bring the population of the Shy Albatross up to a sustainable level.